The Droid 2 update that snuck into the news last night seems to be available for only a select number of devices. Now, I know that Motorola has limited the number, but with Blur we are all supposed to be able to “pull” updates once they hit Blur servers. That doesn’t appear to be the case today as my D2 along with many others, have yet to receive the update. 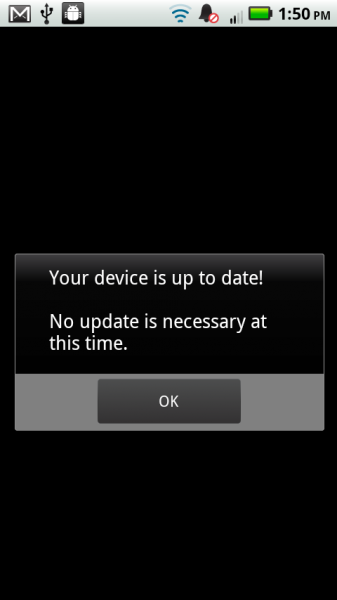 How many of our Droid 2 owners have been able to update? To check for updates go to: Menu>Settings>About phone>System updates. Receive the DROID 2 update?